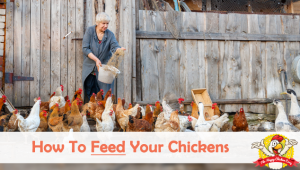 You are here: Home / Managing Your Flock / Are You Buying A Pullet or Hen? What’s The Difference and How to Spot It? With spring just around the corner, many new and experienced chicken keepers will be venturing out to purchase new chicks for the first time or add more chicks to their existing flock. Some of the most common jargons you will hear when buying new hens: is pullets, hens and point of lay. 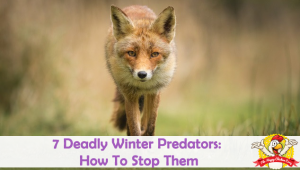 There are some unscrupulous dealers out there, so the article below is designed to help you see the differences and make good choices with your new girls. What is a Point of Lay Chicken? Started pullets- a hen that is 15-22 weeks old. Point of lay chicken – a 22 week old hen. Pullet- a hen that is less than a year old. Point of lay is the approximate time at which your hens should start producing eggs. Hens are not mechanical though, so the point of lay is an estimate only! Some breeds lay earlier than others- Rhode Island Reds start to lay around 18-20 weeks, Orpingtons can wait up to 28 weeks before they start laying! You should have some idea of how productive your bird is likely to be in advance. If you want a good reliable layer you want something like a Rhode Island Red or production breed. However it’s important to remember that all hens egg laying rate is affected by variables such as daylight hours, type of feed and stress, to name but a few things. Be aware that the hen may not produce an egg for you for a few weeks. The stress of a new home and surroundings can delay things for a bit, so be patient! It’s actually better for the hen to lay later rather than early. Pullets that start to lay before their allotted time, often suffer from prolapses and other ‘egg machinery’ malfunctions. There are several things to look for when buying any bird. Here are some comparison points between a pullet and a ‘senior citizen’. 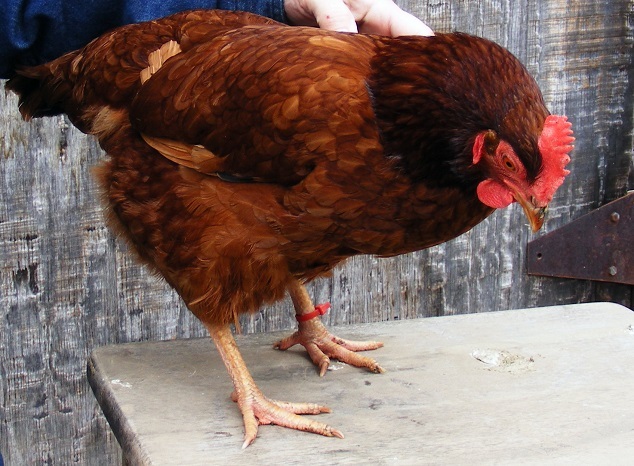 A pullets’ comb should be bright red and full, not dull, worn or ‘spotty’. Note: the comb on the left is a pullet and on the right a hen. Notice how the comb on the right is fuller but paler. The beak should be well aligned, not deviated or crossed. There should be no discharge from the nostrils. Any bird with nasal discharge should be avoided- if the bird is in with the rest of the flock then avoid them all! Pullets will have glossy, ‘tight’, good sheen, no broken feathers or bald patches. Check down through the feathers- you are looking for lice or mites or eggs affixed to the feathers. See the pictures below. Notice how the pullet (left image) has tight feathering whereas the hen’s (right image) feathers are looser. Bright, curious, no deformed pupils. No eye discharge. The crop should be golf ball sized. It should not be pendulous nor should it be empty. Both of these findings can indicate some possible digestive issues. In young birds the legs will be better colored, not faded. No raised scales, legs should feel fairly smooth. Older birds can have swollen joints. Notice on the left the Pullet’s thin yellow legs and on the right hand side the Hen’s thicker, pale legs. This should be clean, pink, bright and glossy. The vent on an older hen will be pale pink/white/gray and likely dry. Also, the feathers around the vent should be clean with no poopy material attached. In general, young birds are energetic and vibrant. They will be curious and ‘busy’. Older hens are slower and more ‘sedate’ in their manner, although many of them do remain curious. If all birds (hens and pullets) are in a pen together watch the behaviors. Which are the more dominant hens? Is there one or two that are being picked on? What is the flock dynamic like? If the hen is sitting off by herself, looks ‘fluffed up’ or generally tatty in appearance, you do not want to buy this hen. She likely has some health issue that you don’t know about and don’t want to share with your flock. Do your homework. Don’t pick up the local flyer and buy from the first person who advertises. Craigslist can also be hit and miss, again, try to check out the seller beforehand. Be aware that just because a place has many breeds to choose from, it doesn’t make them a good source. Ask about their reputation, Google for reviews. Do you know people who have chickens? Ask around and find out who is a reliable source of pullets. Go knock on some doors- chicken people are very friendly and love to talk about their birds! 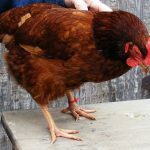 Join a local poultry club/website. Many national sites have local connections – use them to your advantage, ask questions, look up local breeders. When you find a supplier, don’t be afraid to ask questions. Have they been vaccinated for Mareks? Any health issues with the flock? Also, take a look around- is the place clean, tidy or it is messy and filthy? A chicken farm is not a spotless palace, but it shouldn’t look run down and seedy either. Look carefully at the birds- do they have lice or mites? Are they perky or dull and listless? Don’t be afraid to walk away if you are unsure. Always try to buy birds during daylight hours so you can fully inspect them. If you are a ‘newbie’ try to take an experienced person with you. If any of them have the sniffles – walk away! You don’t need unhealthy birds to start with. I cannot emphasize enough to be very cautious if you decide to buy from an auction. You have limited time for inspection of birds (if at all) and you don’t know any history about them. Often, the birds will have been ‘sold on’ at several auctions recently with the seller just trying to make money. This means the birds are highly stressed and have been subjected to all sorts of disease. My advice is- don’t buy from auctions, unless you have a very experienced person with you. How Much Do Pullets Cost? This varies depending on many things. Most ‘common’ chickens can be bought for $2-5 each, and you will pay an additional $7-10 for pullets. You can pay anywhere from $5 to $100+ depending on the breeds you want. The rarer the breed, the more you will pay. Also, true heritage breeds will cost more from a breeder than a hatchery. Their stock is usually purer and usually more robust. 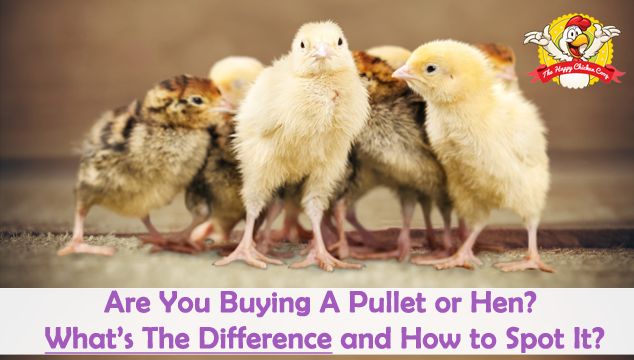 Without a doubt you save on feed, bedding, heating and lighting by buying pullets. The downside is you miss out on the chick ‘cuteness factor’! In my experience, I have found that raising my own birds from chicks usually results in friendlier birds, but this may be coincidence. 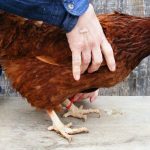 Giving a home to an ex-battery cage hen is a worthy cause, but be aware they will need some special treatment. Initially they will be in generally poor health- feathers missing, may have been de-beaked and will likely be very timid. They certainly can be re-habilitated, but it takes time and lots of effort and understanding on your part. Many have gone on to provide eggs for their saviors for a few years. They will cost you time, effort and money initially, but your reward is far superior in giving them a home. However practically speaking, if you want eggs for minimal outlay, don’t get ex-battery cage hens. 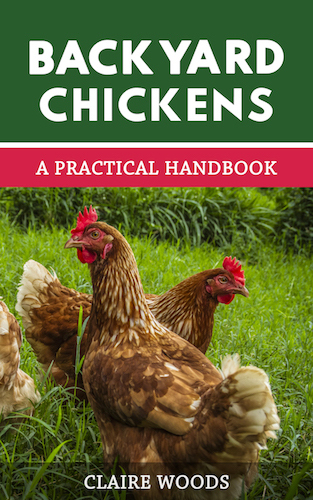 If you already have hens and are introducing new hens to your flock, make sure to read our guide on introducing new hens to avoid any problems. It really pays to do your homework before buying new birds. Read as much as you can about your chosen breed and their care requirements. You need to be sure of what you want in a breed and then scout around for reputable breeders. The vast majority of breeders are honest and helpful; however there are still some suspect breeders out there. If you are unsure whether or not to buy the bird(s), trust your own instinct- if in doubt don’t. As hard as it is to walk away, you will be better for it in the long run. There are plenty of chickens out there so don’t be pressured into buying. Sometimes a breeder will tell you it’s a rare bird and you are getting a good deal. Occasionally this is true, but more often it’s a ploy to get you to buy the bird in question. If you can take an experienced person with you to the buy, that would be ideal, especially if they can ‘educate’ you on the birds you are seeing or buying. An experienced eye can help you avoid making mistakes. Which breeds of hen will you be buying this spring? Let us know in the comments below. Thank you Claire! You are always so helpfully informative! So happy you’re enjoying the site. how long do pullets lay small eggs? Looking at one of each of the following types of birds for our first backyard adventure with chickens. I’ve been in MI for 6 months (after living my whole life in Los Angeles) so chickens in the yard are both exciting and terrifying. I’m looking for winter hearty hen with high laying, low noise and easy care.